The people who own and haul the bulls aren’t usually in the spotlight, but they all hope at least one of their bulls will be. Not only does Jimmy Crowther own and haul bulls, but he breeds some of the very best in the world. 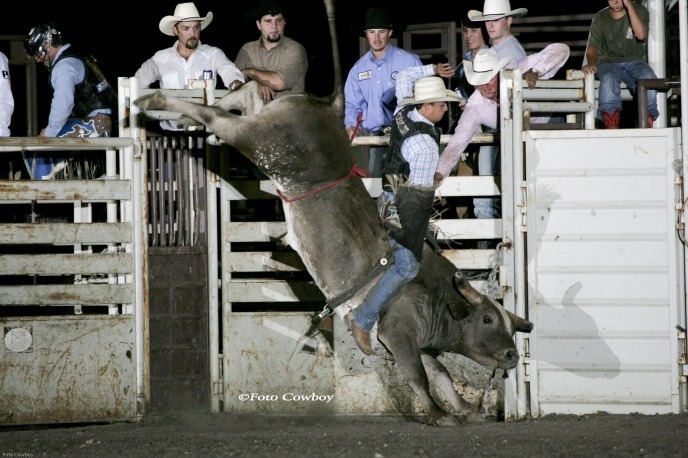 A former champion bull rider, Crowther has been breeding bovine buckers for nearly 40 years. 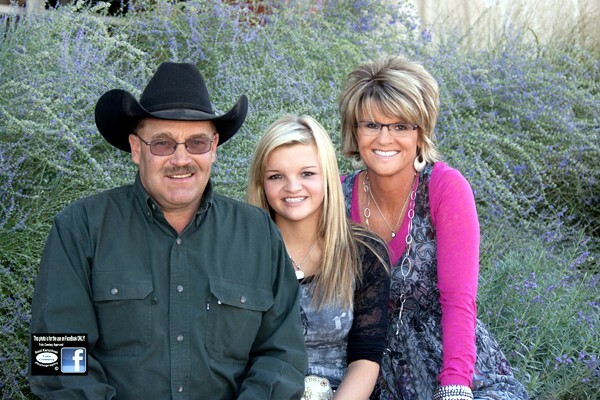 Today with his family, Crowther owns JC Rodeo Company and New Frontier Rodeo Company with locations at Roxbury and Gypsum and has supplied bucking bulls personally produced at 23 events throughout the Midwest this year. But, between the bulls Crowther owns and has sold at his eight annual spring bucking bull sale at Salina, New Frontier Rodeo Company-produced bulls, according to Pro Bull Stats, have had many outings in South Dakota, St. Louis, Des Moines, Oklahoma, Missouri, all the way to Allentown, Pennsylvania, and states in between and beyond, including the National Finals Rodeo in Las Vegas, Nevada. 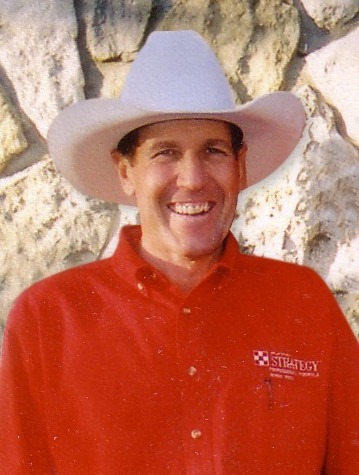 “Jimmy was one of the first rodeo producers to recognize the potential of the bucking bull genetics of the late Charlie Plummer, legendary breeder of Sayer, Oklahoma, and while still competing as a bull rider, purchased three bulls and six heifers from Plummer in 1978,” according to Kim Reyer of Flint Hills Bull Genetics, a bucking bull producing operation at Strong City with strong affiliations to the Crowther program. “It is believed that Crowther has produced more rodeos and bull riding events in Kansas than any other stock contractor in the last two decades,” Reyer pointed out. 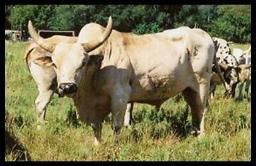 Number 64 Psycho is the foundation of the Crowther bucking bull breeding program. “ Super star bulls for the JC-New Frontier program include Bones, the Professional Bull Riders (PBR) Bull of the Year, and Shakedown, who was contender for Championship Bull Riders(CBR) Bull of the Year, and bother are grandsons of Psycho,” Reyer noted. Other bulls that are foundations of the program include: Grey Squirrel, Slammin’ Sam, Money Talks, Hang ’Em High, Silencer, Booger Man, Footloose, Rattler, Mr. Twister, Rock Bottom, Bone Collector, Shadow Dancer and a long list of additional bulls. Deceased, Grey Squirrel, when a six-year-old, bucked off 40 straight riders in PBR and Professional Rodeo Cowboys Association events. The tradition continues through Grey Squirrels lineage, including son Squirrel Grove. Crowther pointed out: “Squirrel Grove was born in 2008, sold in our sale in 2010, and we were fortunate to buy him back to buck and use in our breeding program. 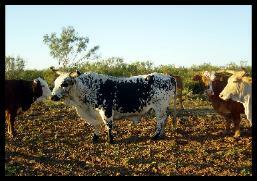 All of the JC-New Frontier bucking bulls are from natural mating. “At one point somebody had said maybe Squirrel Grove was a clone of Grey Squirrel, but that’s definitely not the case. We are against cloning and continue mating the best to the best with quality of our bucking bulls constantly improving as the records prove,” Crowther said.